There have been a lot of discussions and debates over these two perfumes. 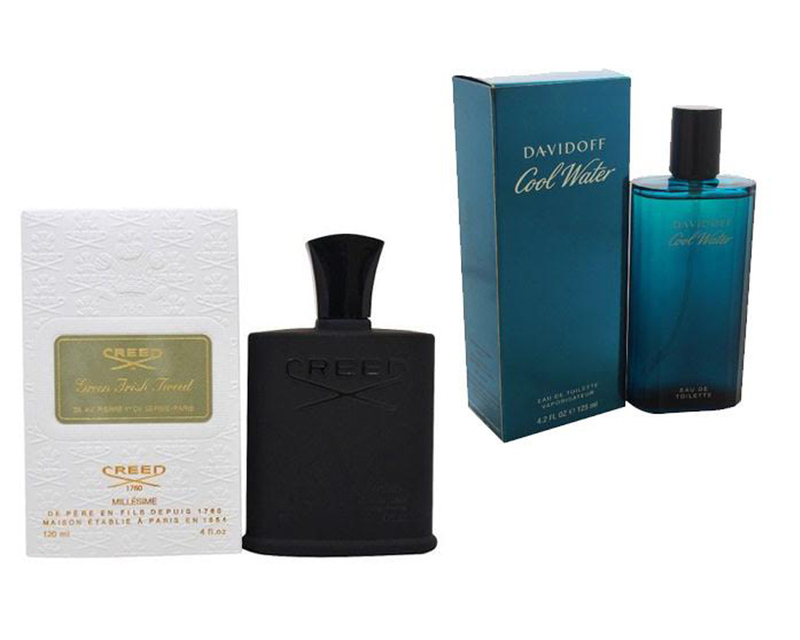 A lot of people have found, at least initially, that Green Irish Tweed by Creed and Cool Water by Davidoff smell very similar to each other. Yet, the Creed’s fragrance is quite significantly more expensive compared to the Davidoff’s. So, does it mean that the Cool Water is a feasible alternative for the Green Irish Tweed? Is there any unique quality that Cool Water can’t replicate from Green Irish Tweed? Find the answers below! Green Irish Tweed by Creed is an elegant, virile, and irresistibly charming fragrance. It offers a light and fresh initial scent, that is also somewhat spicy. It opens up with the top notes of lemon, verbena, and peppermint, delivering such freshness and coolness that are enriched with the citrus hints. The perfume features violet leaves for the heart notes, whereas the base notes of iris, sandalwood, and ambergris deliver the projection and longevity that you seek from a perfume for the whole day. The sillage and durability of this perfume are excellent. The green and woody base notes last for hours, and the complexity has achieved a cult status around the world. Cool Water by Davidoff promotes a quintessential ocean fragrance. It is made for men who forge their masculinity in waves of action, like the power of the ocean. The main reason of why this perfume smells very similar to Green Irish Tweed is due to the top notes, featuring intense freshness of peppermint and lavender. However, compared to Green Irish Tweed, Cool Water is closer to the skin and tends to dry faster. The sillage is not as visible. The base notes of warm and sensual amber and musk don’t project as strong, making the perfume seems to have weaker projection and longevity. If you seek for a premium refreshing scent, Creed Green Irish Tweed is the best. The complex combination brings such a luxurious, unmatchable aroma. However, if you prefer for a more affordable choice, Davidoff Cool Water is indeed a viable alternative.